Anyone can develop sepsis, however, adults 65 and older are more susceptible to sepsis than any other group and make up 65% of sepsis case in hospitals. Sepsis is the body’s life-threatening response to a bacterial or viral infection, such as influenza. More commonly known as the flu, influenza is a highly contagious viral respiratory infection. In a recent article titled Flu Deaths Rising for Americans Over 65, AARP reported that more than 12,000 adults ages 65 and older died from the flu during last year’s flu season. That’s more than double the death toll of the 2016-17 flu season and six times the number from 2015-16, according to the same AARP article. The risk of dying from severe sepsis or septic shock rises as you get older. Seniors who do survive sepsis are at a higher risk for long-term cognitive impairment and physical problems than other age groups. On average they experience 1 to 2 new limitation on their daily life activities. 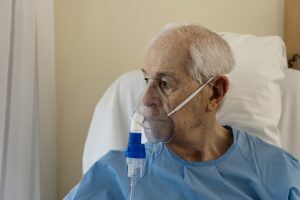 In addition, more than 40% of older patients have another hospitalization within three months of release. To help seniors understand their risk of developing sepsis and the possible effects, Sepsis Alliance created Sepsis and Aging – an informational webpage that is rich with data and resources. Sepsis Alliance is continuing to develop resources to help educate older adults and their families about sepsis. To learn more about sepsis and influenza, click here.